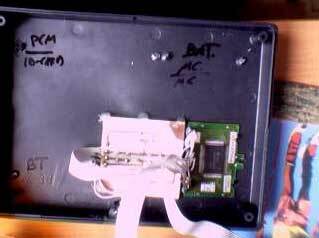 To acquire the Bluetooth transmisison technology we first built a "distributed" version of the Data Acquisition Unit, which was not mobile at all. 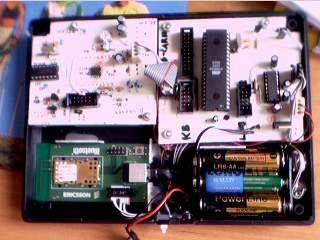 The core of the system was a universal Phlips 80C552 microcontroller board. 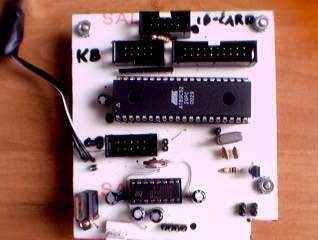 The I/O board was of course connected to the microcontroller board. 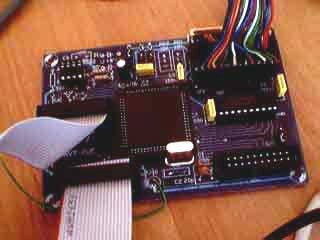 As the Philips 80C552 has no Flash EEPROM we had to execute the microcontroller software using an (self-made of course) EEPROM emulator. 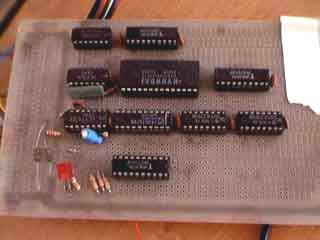 The microcontroller binary program is loaded through a parallel port, then - the emulator resets the microcontroller and the new program is being executed. 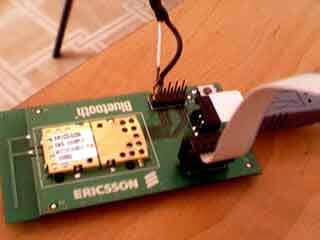 Finally, we connected one of the precious Bluetooth modules to the rest our machinery. 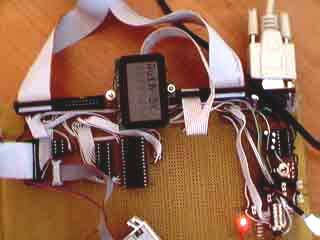 After the microcontroller software reached a more or less stable state we started to develop a mobile version of the device. 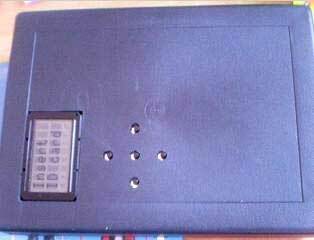 Here - the biggest fun starts - squeezing all the parts (microcontroller main board, Bluetooth module, PCM codec board, Jazz interface board, ID card interface, batteries, LCD display and LEDs) into the box (18x11x6 cm). 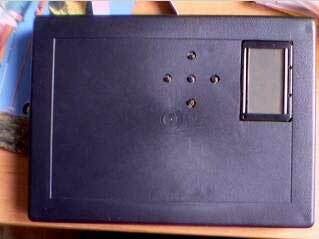 We started with drilling holes (for the LCD display and the ID card interface) in the bottom of the case and placing blocking elements. 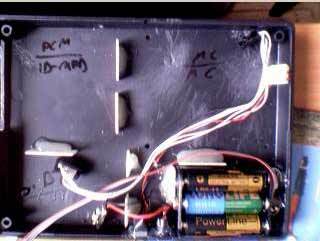 In the top of the case LCD display, keyboard and LED diodes were mounted. ... and to turn it on. It didn't blow up ! Moreover - it works and (as expected) wants an ID card (which is a separate story). Well done !